At Jefferson Fiberglass, we offer experience, quality, and reliability. 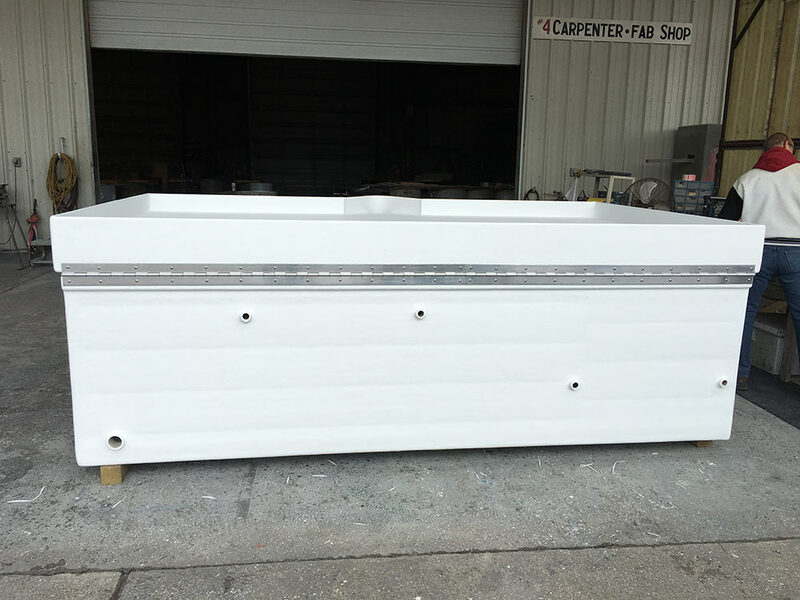 Our custom fish transport tanks provide long-lasting durability. Known to be stronger than alternative materials such as sheet metal, fiberglass is also non-corrosive and not prone to rusting. This is especially beneficial for our clients on the Gulf Coast near oceans and waterways with a high salt content. Our hauling tanks come equipped with a range of accommodations including slide gates, multiple drains, electrical wiring, multiple compartments, and overflow protection. They can be used at zoos, aquariums, fish farms, museums, and fish hatcheries. 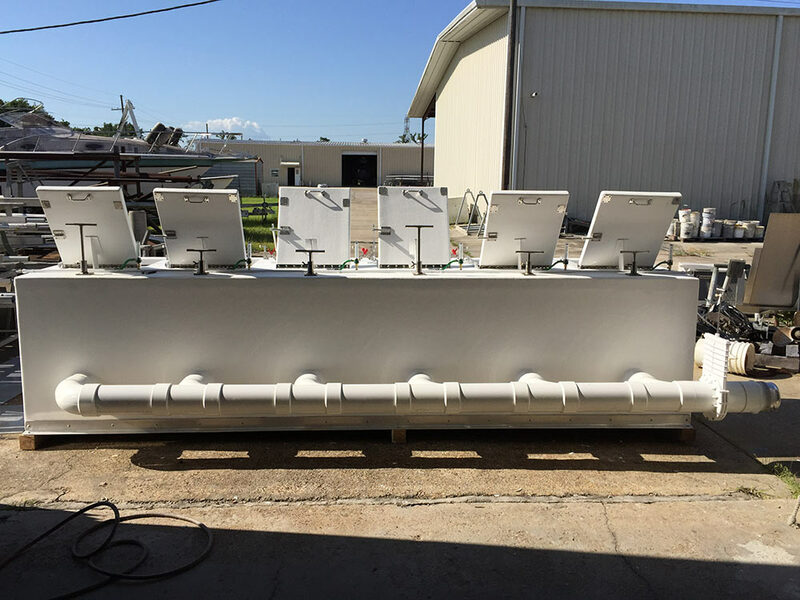 Our tanks are specially designed to transport fish from their natural habitats to more controlled environments. Not only do our products help to ensure that the fish are transported safely, but they also help to minimize the amount of stress the fish experience during movement. The safety of the fish is also promoted through our use of non-toxic interior surfaces and oxygenation systems that help regulate water temperature. This is especially important, as significant fluctuations in water temperature during transport can take a toll on the health of the fish. 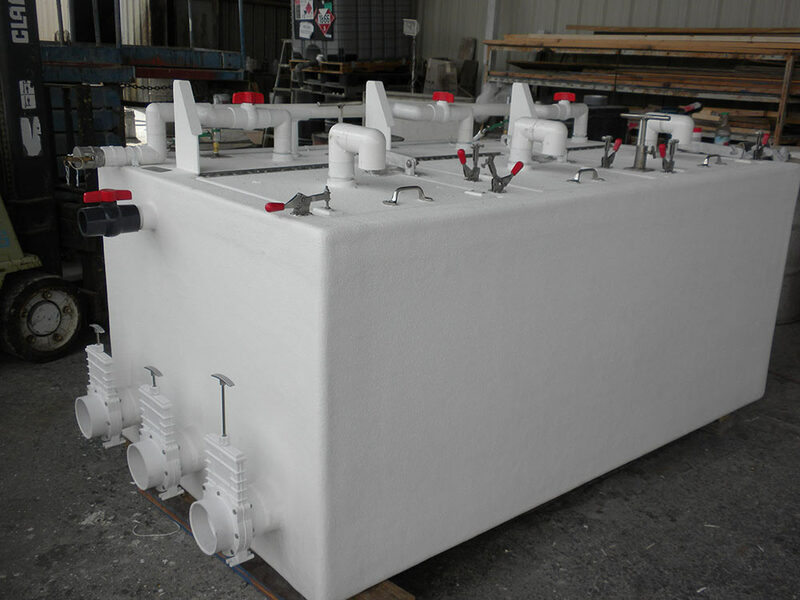 Transport tanks also include drainage, which makes them easy to clean and maintain. 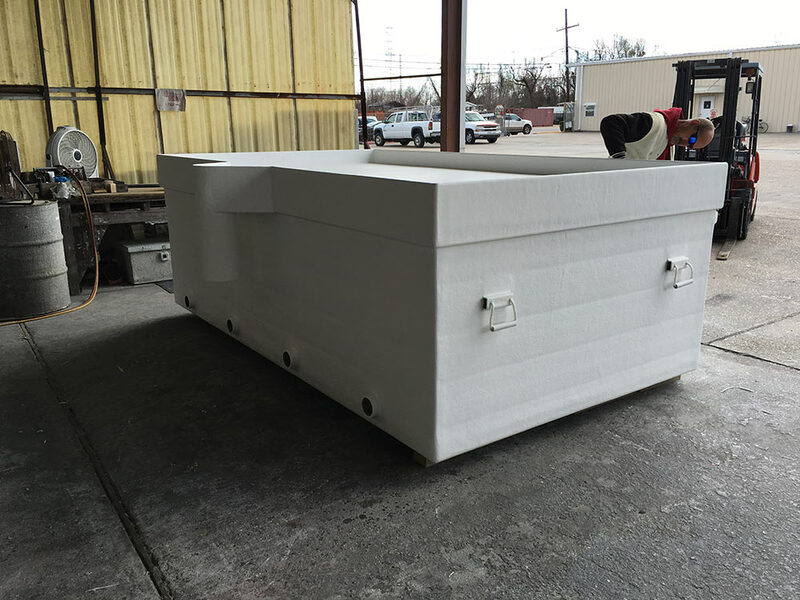 With more than 50 years of experience providing custom fiberglass solutions, we are well equipped to turn your vision into a reality. Our manufacturing division can create products for a variety of industries including hospitality and construction. We will work within your budget, while still providing you with high-quality, custom results. Because the molding of fiberglass doesn’t come with as many restrictions as other materials, we have more design freedom. Therefore, you aren’t just restricted to one or two simple box designs. Your tank can be both effective and aesthetically appealing. 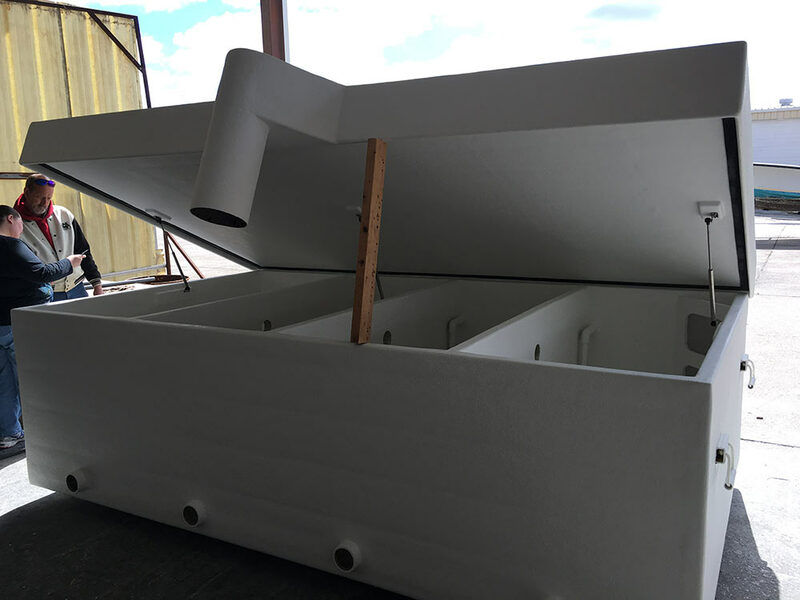 If you’re looking for durable, American-made fish transport tanks, Jefferson Fiberglass is the perfect choice. We are dedicated to continuing our legacy of providing reliable and long-lasting products. Give us a call today at (504) 347-6612 to discuss your custom project. We also specialize in fiberglass repair for boats, hatch covers, and marine valves.